This vase was a gift from my friend Todd. The vase was made in England and I think it may date from the 30s. Currently it holds my two ink pens and a cell phone bell charm, which was a gift from our friend Alex when he was in L.A. 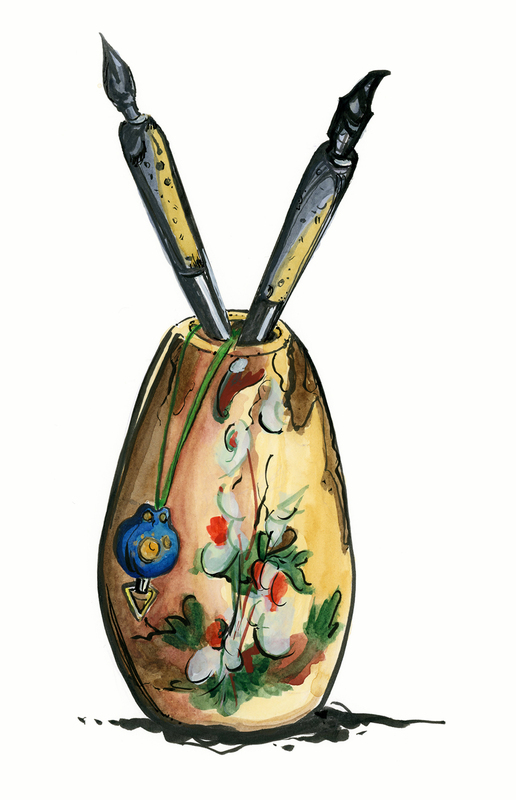 The body of the vase is a bit wonky because I'm still getting used to rendering with a brush pen. It makes my husband nervous when I use my ink pens with bottled ink -- I had one small spillage accident a while ago.